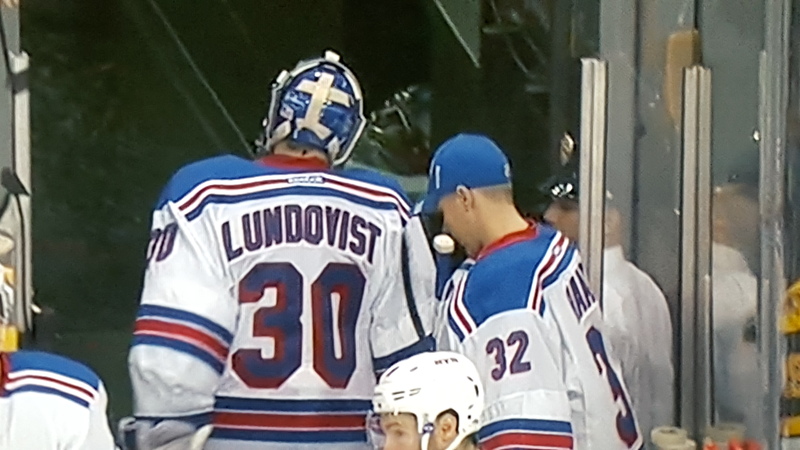 November 27, 2015, Queens, NY They represent one-third of the Original Six, and on this post-Thanksgiving Day (a.k.a., Black Friday), the New York Rangers faced the Boston Bruins in Beantown and lost a hotly contested game, 4-3. The Bruins win is certainly good news for our premier NFL Picks expert, Boston’s Own John Payant (J-Pay). In the first period, the Rangers failed to challenge an apparent goal by Patrice Bergeron. Replay showed that Henrik Lundqvist was interferred with by the Bruins Brad Marchand whose foot got tangled with Lunqvist’s stick. The Rangers didn’t exercise their challenge so the Bruins were up 1-0 after the first period. Lundqvist had 11 saves in the period, but the Bruins dominated with 12 shots on goal compared to the Rangers 7 (shots on goal). The action really heated up in Period 2. Oscar Lindberg tied the score at 1-1 at the 17:52 mark. Rick Nash gave the Rangers their first lead at 14:46, 2-1. But you had the feeling that more scoring was to come in the period. 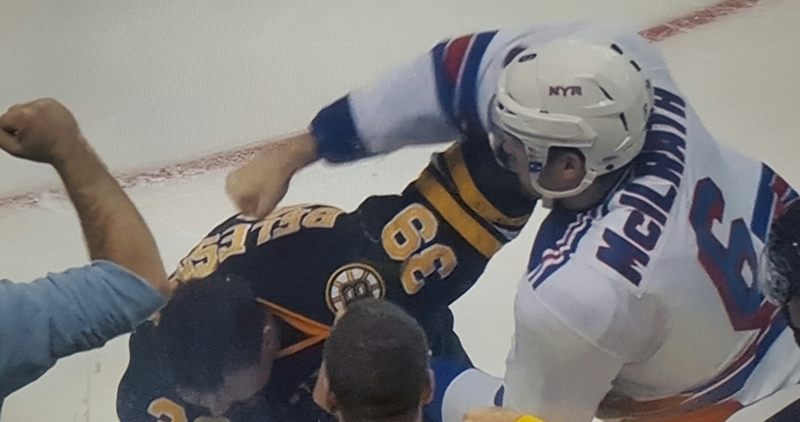 Rangers center Derek Stepan was checked “rigorously” by Bruins wingman Matt Beleskey. The play was aggressive and borderline dirty, and that’s when defenseman Dylan McIlrath directed his “Wrath” at Beleskey throwing haymakers with Mike Tyson-esque intent. The fight seemed to energize the Bruins who tied the score on a goal by Brett Connolly, 2-2. In the third period, Rangers center Derick Brassard was called for tripping; however, the Bruins did not convert during the power play. Brad Marchand was called for goalie interference when his knee inadvertently struck Lundqvist in the head. The Rangers took advantage of the power play as J. T. Miller scored to give the Rangers a 3-2 lead. Jesper Fast was called for holding, giving the Bruins another power play. This time the Bruins converted, tying the game at 3-3 on a goal by Ryan Spooner. The Bruins applied relentless pressure on the Rangers’ end, and inevitably, after many shots on goal by the Bruins, David Krejci hit a missile past Lundqvist, for the win, 4-3. It was the fifth straight win for the Bruins. The Rangers return to Madison Square Garden on Saturday for a 1 p.m. matinee game against the Philadelphia Flyers.